The actress, who was close to Tupac, says she was getting out of the life at the time and will tell the whole story in her book. “It’s kind of hard because I haven’t really told the whole story,” Pinkett Smith told US radio show Sway In The Morning. “One of the things that’s very interesting that I’ve never really said before is that when I first met ‘Pac … when we first met, I was a drug dealer. “I won’t get into the details of it ’cause I’m going to write a book about it." Pinkett Smith met Tupac at the Baltimore School for the Arts in the mid-80s. But she explained how there was was more to it than just being school mates. “Something very bad happened to me as I was coming out of the life, he was going more into the life… and there was a point at which we met, and then we were kind of going our separate ways. 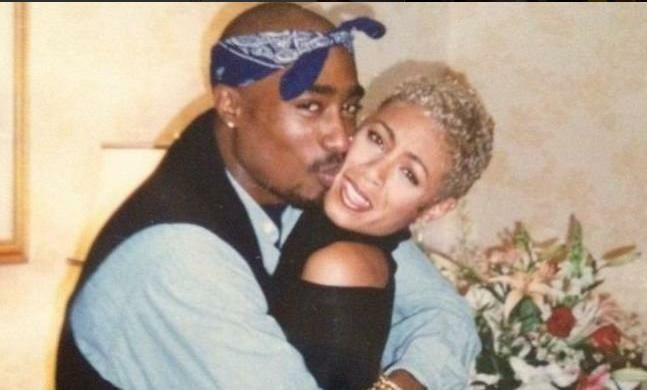 It’s been no secret that Pinkett Smith, who is married to Will Smith, is upset with how her and Tupac’s relationship is portrayed in the newly released film ‘All Eyes On Me’, which has suggested there was more romance to their relationship. She wrote a series of tweets on June 16, Tupac’s birthday, explaining the problems with the film’s story. Pac never read me that poem. I didn't know that poem existed until it was printed in his book. Pac never said goodbye to me before leaving for LA. He had to leave abruptly and it wasn't to pursue his career. I've never been to any of Pac's shows by his request. We never had an argument backstage. On Sway’s show, broadcast yesterday, she sought to set the record straight. “‘Pac and mine’s relationship was about survival. Yesterday she explained is revealing more of her story now so that people can better understand what it was all about. She also explained how she does her best to help young black and poor kids who are getting into the entertainment industry, because it’s something she wishes she’d had help with back in the day." '‘Pac and I were coming up at the same time and how desperately we needed that [guidance], and how we didn’t have that. "It’s imperative that Will and I are accessible to young people who want our help."